Say Something Prevention LAB is an eight-hour in-person training series where participants learn and build skills to prevent interpersonal violence in our community. Participants will be given an overview of effective prevention and challenged to increase their skills of assertive communication and boundary-setting across various relationships using scenarios that are generated from real life experiences. Ready to sign up for a LAB? Awesome — we're excited you will be joining us! "I really appreciated the different approach of focusing on the root of violence and interrupting that, rather than solely on defensive strategies." All sessions are interactive and are framed around the concept of Learn.Act.Be. Together, we work to build active skills, language, and the ability to prevent interpersonal violence in our community. The Prevention LAB typically meets for four 2-hour sessions, and in the time between, participants are given activities and support to incorporate their learning into their everyday lives. To complete the Prevention LAB, participants must attend all 8 hours of training. Prevention LABs will be offered regularly in the community, but scheduled on a rotating basis to help accommodate everyone's busy lives. Our Field Guide is your interactive workbook to unleashing your personal power and reducing the level of interpersonal violence in your community. It is designed to support anyone who wants to Say Something. 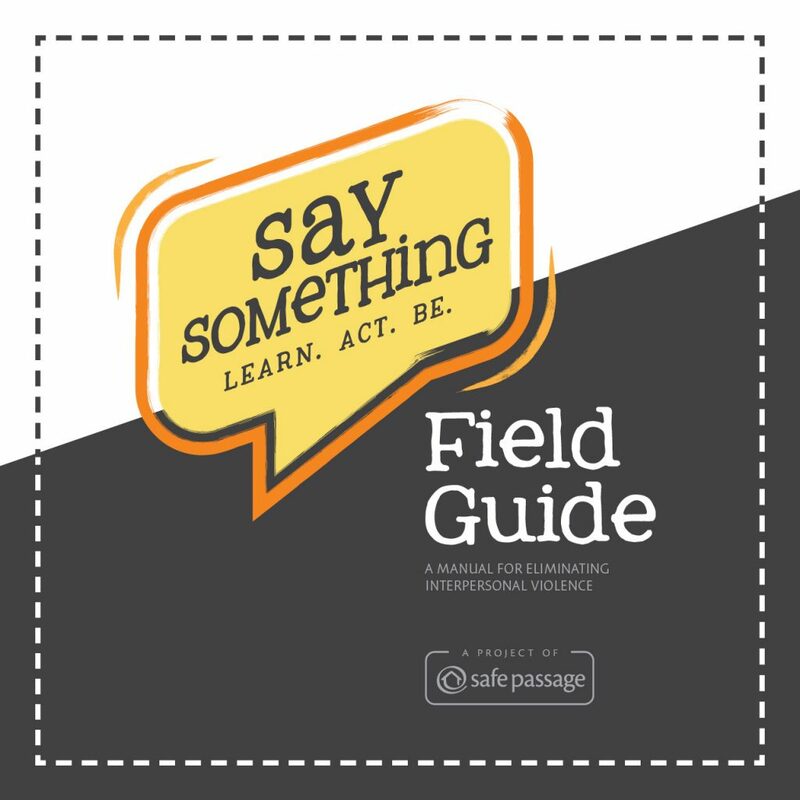 The Say Something Field Guide is a mash-up of the public health evidence-base about what works to create safer communities with the experience of domestic violence service providers, the moral compass of social justice movements and the bad-assery of feminist empowerment self-defense. It is a guidebook and a workbook designed to support anyone who wants to create more safety, peace and respect in their corner of the world.